It all began with a single desire to create the best, healthiest skin care products available, a skin care line that would promote youthful, ageless, and natural beauty in women without the use of chemicals that are typically found in most commercially available skin related products. Rather, the immense and heartfelt intent to give birth to a line of products that would allow a woman to feel beautiful without possibly endangering her health was the motivating factor for Denie Hiestand, when he made a commitment to change the industry. But he also recognized that women needed something that would help them feel beautiful from the inside out, that youthful and ageless feeling, while not using something potentially injurious to their health. When a client with breast cancer suggested that he try to create something that would allow women to feel beautiful while not causing any harm, – that desire became the inspiration for Hiestand to develop something that would enhance, not degrade, their health! He ignited his extraordinary talent and intuition and started heavily researching the field of skin care and cancer research breakthroughs. Hiestand’s earlier study of quantum physics, anti-aging strategies and anti-aging skin care research allowed him to begin his journey. After much experimentation he designed a product, based on the natural life-giving substance called colostrum and anti-aging essential oils. A truly unique and genius discovery one hundred percent trusted, given its long history with mankind, has made all the difference. The urge to return to nature and a youthful and ageless lifestyle is truly what the new millennium is about for all of us. Recognizing that, Hiestand created ‘theCream’ that literally works magic. 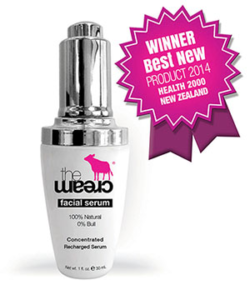 This best anti-aging cream is becoming a household item. Colostrum is one of nature’s most powerful and nutritious substances, a form of milk produced by mammals (including humans) to help provide all the essential ingredients needed in the first 72 hours of life. Hiestand received a testimonial recommendation from a skin care specialist in Australia, who told him that ‘theCream’ is the best healthy, anti-aging cream and is the only product that people should use to promote healthy skin for their entire lives. “What we were beginning to find out about colostrum as we did more and more youthful ageless research was profound,” Hiestand explains. Hiestand found a facility in northern Montana, also an environmentally pure region of the country, and began experimenting with ways to manufacture a colostrum based skin care line that would meet his most stringent requirements. “We grew from a small room in the back of a supplement company to a fully-fledged, fully FDA approved manufacturing plant in Montana. 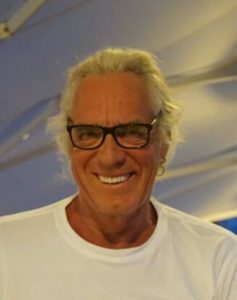 As he eventually developed his skin care line that now includes eleven different products, Hiestand had created a product group that is unique in the world. 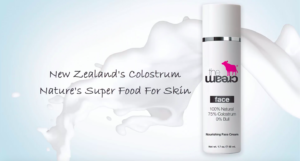 It’s the first skin care line that uses colostrum as the core ingredient, and the quantum physics of how cells interact to perfect the most bioactive, non-chemical skin care cream on the global market. And, they have no competition, taken that only Hiestand took the time to understand the miraculous workings of colostrum. And, he is using it as high of a concentration as 85%. As a skin care line that is so pure, effective, life giving, and contains anti-aging breakthroughs, ‘theCream’ has been received enthusiastically wherever it has been available. 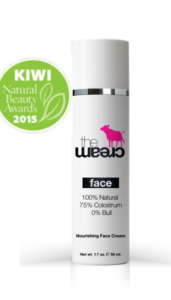 ‘theCream’ is currently the number one product line of its type in New Zealand, and has an impressive international fan base, with retailers throughout the Mideast, Europe and many other parts of the world. “We also talking with a distribution company in China with 4,000 retail outlets, which is a very exciting opportunity for us,” Hiestand says. The company has also attracted the attention of woman everywhere, including Shala Mata, who was so impressed with the effectiveness of ‘theCream’ that she became a partner in the company. A breast cancer survivor who first came across the health science books published by Denie Hiestand and then the newly developed product line, Mata became an enthusiastic endorser of the product. With her new state of health also came a direct involvement in the company, and as a partner, Mata is very involved in running the company and helping spread the word about the products she so enthusiastically vouches for. 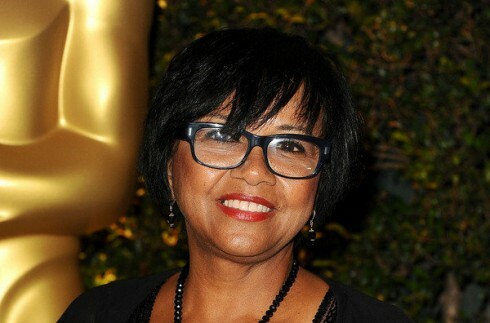 “Because of what Denie was trying to do for women, to give them something that would make them feel beautiful, youthful and ageless without adding chemical toxins into their systems through the skin, I decided I wanted to be part of the company and spread the word about these simple, beautifully made products,” Mata explains. 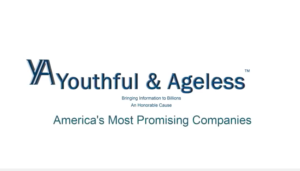 Maybe the biggest challenge for the young company is to educate people and specifically woman about the liabilities of using heavily marketed chemical based skin care products that are part of a high profile $20 billion cosmetic industry. As the world becomes ever more conscious of the fallacies and dangers in marketing and advertising, especially in the skin care industry, it’s encouraging to know that there are products that have been created only to enhance the beauty and health of women in a simple and effective way, such as ‘theCream’! As women become more educated about the beauty industry and the effects of topical treatments designed to promote youth and beauty it’s only a matter of time before they come around to our healthy anti-aging products and the wonderful life-giving compounds they contain. But, as with everything, it’s just a matter of trying it. I myself have been in awe ever since I first applied it. I experienced instantaneous and visible results where nothing has ever helped before. The most unbelievable experience was when I finally took that extra two minutes out of my crazy busy life and applied ‘theCream’ not only on my face, neck, eyes and hands, but also on my entire body. You can just feel life and youthful ageless health pouring into you and the day felt different. Since that amazing day, I am not looking at the 2 minutes or even 10 minutes as a hurry-up-time, but rather how blessed I am to have met Denie and Shala and the very simple God given miracle ‘theCream’. I also find it a lot of fun looking at the design. I keep the tubes in the boxes because the packaging is exquisite and it gives you enough fun to lift the day. 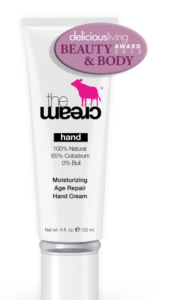 My friends to whom I have showed this newly discovered love-at-first-sight cream just love the 0% Bull remark on the packaging, which not only goes perfect with Hiestand’s sense of humor, but this time folks: it happens to be true! Stay tuned as we follow the life of ‘theCream’! This is an honorable cause, and I believe you will find that it is not a coincidence Mother Earth has given us her healthy and human-compatible natural goodies, but also we just need to realize what is right in front of our eyes. 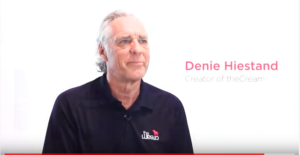 Denie Hiestand looked at the world with the eyes of a genius and has discovered the invisible! And he continues on his path contributing to a better world by helping millions. If you become part of it, expect a change for the better in your own life! It is not just ‘theCream’, it is also You!